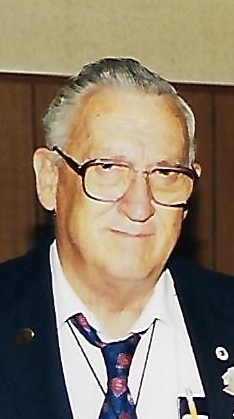 Camden F. Clem, age 91. Loving husband of the late Ann C. (nee Famageltto). Beloved father of Suzanne Blake (Aaron) and Christopher (Karen). Cherished grandfather of Christopher Clem, Jr. (Kristen), Daniel Clem and Abigail Clem. Dear brother, uncle and great uncle. Special uncle to Jim Gregorio (deceased) (Betty) and great uncle of Larry Gregorio, Jim Gregorio (Jody) and great-great uncle of Camden Gregorio. U.S. Army Air Corp Veteran of WWII. U.S. Postal Supervisor, retired. Services Monday, January 15, 2018 at 10:15 a.m. at GOLUBSKI FUNERAL HOME 5986 RIDGE RD. PARMA and at 11 a.m. at Holy Name Church. Friends received Sunday from 2-8 p.m. Interment will take place Tuesday, Jan. 16, 2018 at 1 p.m. at Ohio Western Reserve National Cemetery, 10175 Rawiga Rd. Seville, Oh 44273 (WHERE EVERYONE IS ASKED TO MEET).